Become future ready with analytics & business intelligence based on all your data with end-to- end BI Applications. Business Intelligence applications offer you with the right information, when you need it. Every business enterprise operates with different departments synced together to work as a binding force towards a common goal. It runs on different ideas and operational propositions that need to be integrated and processed in a streamlined manner. All this needs a powerful reporting and analysis platform that is offered by BI. At CodesCastle, BI App Developers offer Business Intelligence development services that are based on eventfully and logically related methodologies, theories, architectures and technologies to offer a robust BI perspective to your business. Our Business Intelligence solutions have helped businesses to get steadfast results in their information management. 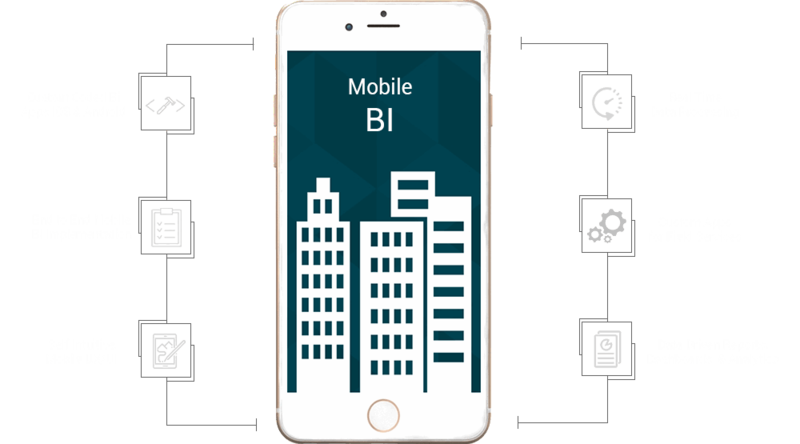 The BI App developers have developed Business Intelligence systems that have produced most relevant and responsive techniques for collecting data, routing information, channelizing information flow, optimizing reporting and disbursing and retrieving the information needed. With us you work more cohesively in a consolidated matrix that promotes flawless system of work within a specific organizational setting. CodesCastle offers the business users the brilliant opportunity to access key BI insights anywhere, anytime. With us the implementation of a flexible business intelligence platform is a lot easier. This increases responsiveness, reduces IT costs and workload, enhances performance and promote better decision making within the enterprise. So, it’s time that you join hands with the right one and get fast, self-service access to decision-ready business intelligence. The time has come when you must create a better reporting system to offer guidance for your entire business intelligence strategy and present meaningful insights offering real value to your employees, customers and partners. Pixel-perfect data visualizations can be produced as they are easy to understand while you can use our ad hoc reporting tools that offer instant answers to new and evolving business questions via the Web, your desktop, or a mobile device. With us you get expert help in this arena through powerful BI application development. This way you assist business managers in taking right business decisions with seamlessness. This way the business heads towards optimal profitability. Nowadays small business owners require personalized business intelligence apps for their smartphone devices or handheld devices. In order to meet these kinds of requirements of various businesses, we offer end-to-end solutions with sheer perfection. The apps developed by us are compatible with all major platforms and fulfill all the clients’ needs. At CodesCastle Info Solutions we offer the best services in the arena of Business Intelligence driving better performance with high-impact dashboards and BI applications. We are promoting BI adoption across your organizations with convincing, insightful data dashboards and apps making your numbers easily understood just at a glance. You can use our user-friendly BI tools for creating mobile, highly interactive dashboards delivering reliable, aggregated data to your decision makers at any place and any given point of time. This is a critical solution in the arena of Business Intelligence as this aids data interpretation and analysis, by creating detailed and interactive maps, pie charts, etc. by the BI apps. This way the applications become smarter and handier for the business owners while thorough analysis work wonders in robust BI app development process. Why Business Intelligence is Crucial for Your Business? With the help of Business Intelligence solution organizations get the flexibility essential to easily deploy in any environment. Business intelligence software is big a help to improve business handlings, whether you are trying to improve staffing, marketing, product development, employee training, or sales procedures. A business intelligence system is an effective tool when you’re trying to convince potentials clients, vendors, or suppliers about company’s products and offerings. With the help of Business intelligence professionals can generate reports on a variety of data sets, like expenses, operations processes, staffing, and customer service..
BI solutions possess excellent data visualization capabilities, ensuring intuitive data visuals of operational reports that are easy to understand and simple to interpret, making them actionable. BI Simplify Bench Marking that allow businesses to evaluate their performance against that of partners and competitors, providing valuable insight into the organization’s current state. Business Intelligence software enables you to manage your workforce more effectively by providing required information on the go remotely.